Match tiles to grow flowers! It’s time to celebrate Spring with all of its floral beauty and color changes in the Mahjong Flower Garden! This flower game will take you the countryside flower fields tended to by the loving flower farmers, Kathy and Ann. Mahjong Flower Garden is a charming floral take on the worldwide popular free Mahjong puzzle game. Enjoy a set of 900 Mahjong boards with some beautifully crafted garden mahjong tiles and help Kathy and Ann plant all the flower bulbs and flower seeds in the garden. This is definitely the best free Mahjong game of the season! • 100% FREE to play! • More than 900 boards + Daily Challenges. • New boards and gardens will be added regularly. • Find all the hidden collectables and earn extra coins. 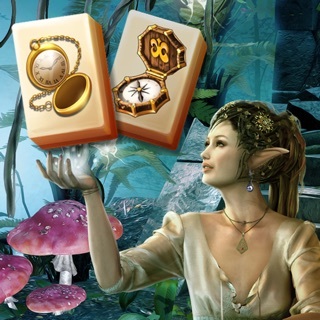 • Will you find all the hidden treasure chests? • Find and free all the butterflies in the garden. • Play every level in normal or expert mode. • Play the garden boards and match tiles plant all the flowers! 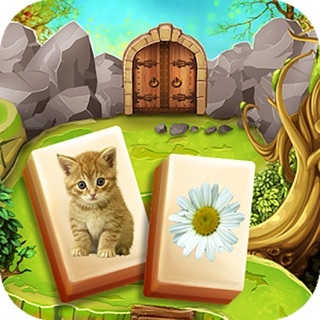 • Unlock 45 floral gardens and discover new boards to play! • Play the Daily Challenge with a new free floral board every day! • Solve Daily Tasks to earn extra coins and play extra boards. • Spin the Bonus Wheel to earn extra coins. • Simple controls with zoomable boards! • Relaxing music and game play! • Game Center with Achievements and Leaderboards! • Color your backgrounds as you like! • iCloud support syncs your game between your iPhone, iPad and iPod. • iPad Pro display support. • Bonus: Wonderful flower iMessage stickers. Mahjong Flower Garden is the best free Mahjong game! Please help spread the word and support us by leaving a review in the App Store and telling your flora and plant lady friends! I was on #480...everything locked up... when I got back on the game recognized my player name but wouldn’t let me back to where I left off...😢 I hope you can help me! Even though I had to start all over again...it’s still my favorite game! Oh no thats terrible! Can you help us try to find the problem? When did the game lock up on you, what were you doing at the time? Thank you and so sorry for the inconvenience! This is a fun game but it keeps freezing up and you lose the coins you used to play. It just happened again—frustrating! Thanks for answering. It has happened during play, after a win when I click on the bonus to watch a video to receive more coins. Then it shows I won the round but no rewards, and those are needed to keep playing. It freezes up when I click on the box to watch the video so I don’t get the coins for winning, the video doesn’t start so no bonus wheel either. Thanks for the details Zavoral! We will try to track this one down! This could be a really fun game if the glitches were fixed. Right now it’s not fun at all. You play maybe, if you’re lucky three frames then it locks up.